Recently, I have been trying to incorporate some new flavors into the grilling or smoking we have been doing around the house. Beer has been playing a role in those marinades. 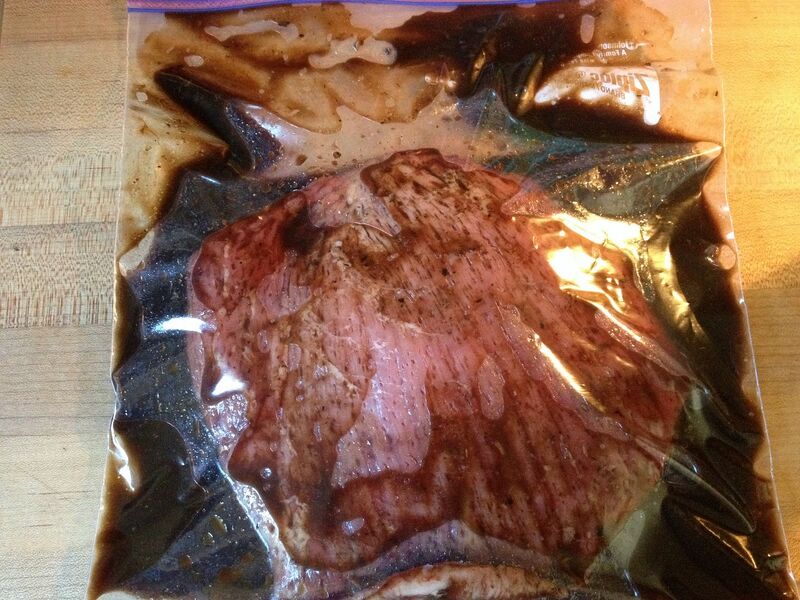 This past weekend, inspired by Gus over at gusfacegrillah.com, we tried making a beef marinade out of a nice stout. 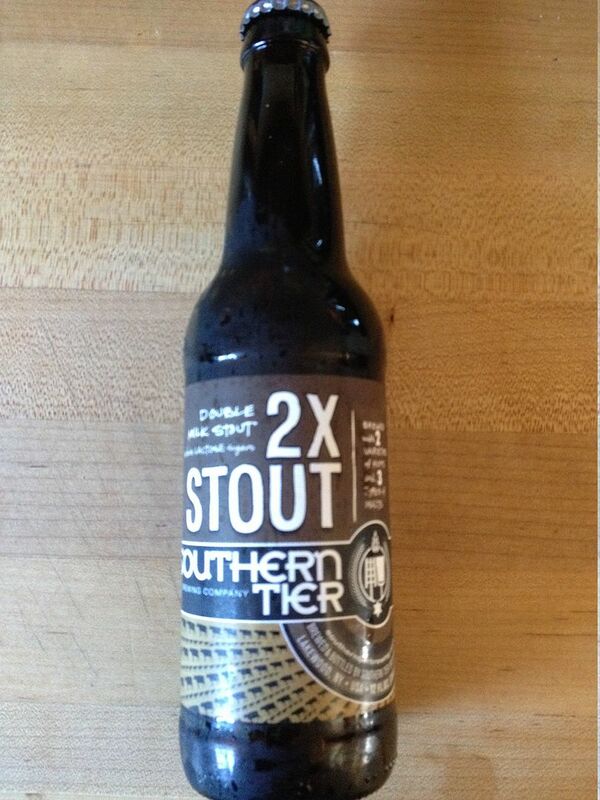 My choice was a nice and smooth milk stout from Southern Tier Brewing: Double Milk Stout 2X Stout. This stout is smooth and creamy. Not too bitter, not too sweet, and well balanced. 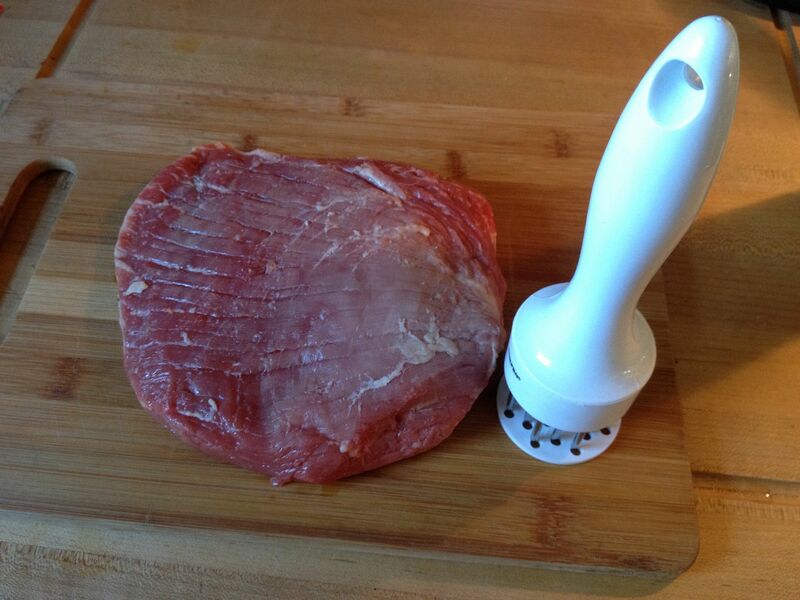 Perfect for this beef bath. To prepare this marinade, I started off by roasting some garlic. I do not roast whole heads of garlic. Way too much garlic for what I need. I just take the cloves that I need, slice the tips off, and place in a foil packet with some olive oil. The packet goes into a 350 F oven for 30 minutes. 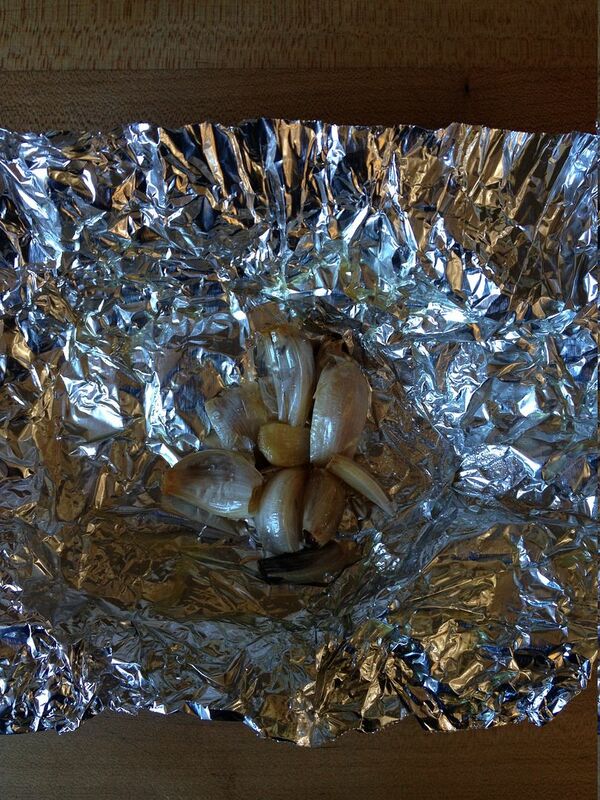 Perfect roasted garlic every time. Put everything into a small sauce pan and bring to a boil. Then, lower your heat and simmer until reduced by 1/3. Then cool to room temperature. 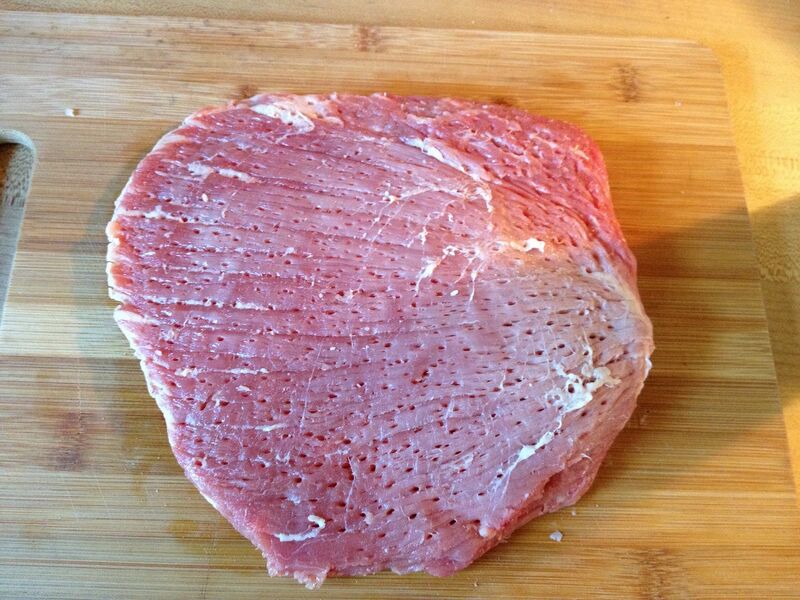 While the marinade was cooling, I tenderized my flank steak thoroughly on both sides. Once the marinade was chilled, I placed everything in a plastic bag and put into the refrigerator to steep in the stout mixture. I flipped the bag over every hour. Total marinade times five hours. After five hours, I removed the steak from the refrigerator and placed on the counter to come to room temperature. Then, I wend outside and started my grill. 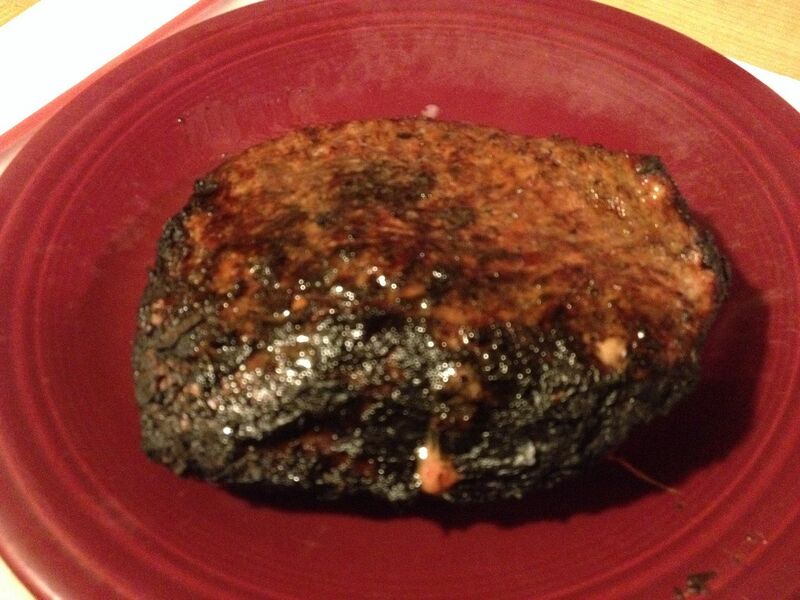 Once my coals were ready, the flank steak went on direct heat for about seven minutes a side. I was looking for 130 F internal temperature. Once done, I brought inside and let the meat rest for 10 minutes, covered with foil, before slicing. Sorry about the picture. As you might be able to see, the marinade created a nice caramelized bark on the outside. We also nailed the medium rare that we prefer (at least on the thick end). The flavor was great. Better then I was hoping for really. The roasted garlic, vinegar, and spices made for a nice combination. The stout brought it all together adding a nice richness to the beef. We will definitely be trying different variations of this marinade in the future. So, if you have a spare stout hiding the the refrigerator at home, give this a try. This has inspired me too - are we stuck in a loop? Can't wait to see what you whip up Gus.